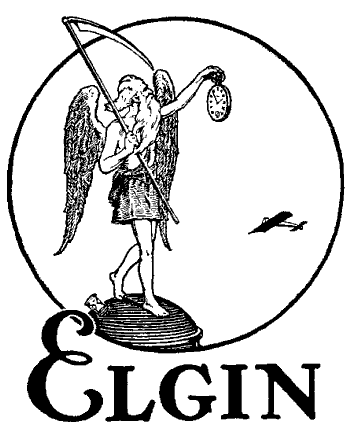 Information on pocket watches from the Elgin National Watch Company, its history and technical details. 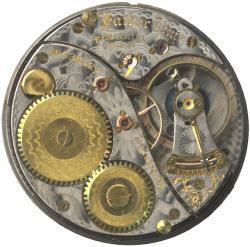 This website is dedicated to helping people find out about their Elgin pocket watches. These antique watches were symbols of America's emergence from an agricultural country into an industrial power. Watches are one of the few machines that were made 50 or even 150 years ago that, even today, can still be practical to use every day. There are also a couple of good message board systems where people get together and chat about pocket watches. I would like to recommend the American Watch Co Pocket Watch BBS, which is a research chapter dedicated to pocket watches. Located near the early railroad hub of Chicago, Elgin specialized in making railroad grade watches. The famous B.W. Raymond line of pocket watches was named after Elgin's first president, former two-term mayor of Chicago, and a director of the Galena & Chicago Union Railroad. 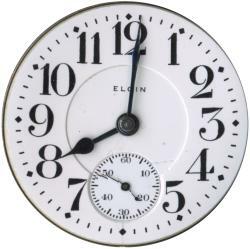 Elgin continued to produce railroad grade pocket watches almost to the very end.